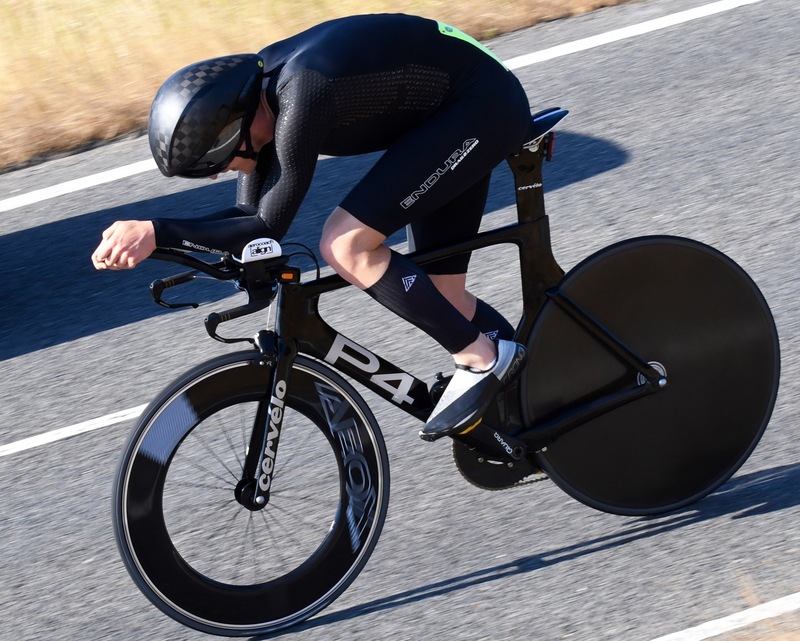 It was another fast day on the P415/10 “ski slope” course for the Poole Wheelers Open, and the riders did not disappoint! 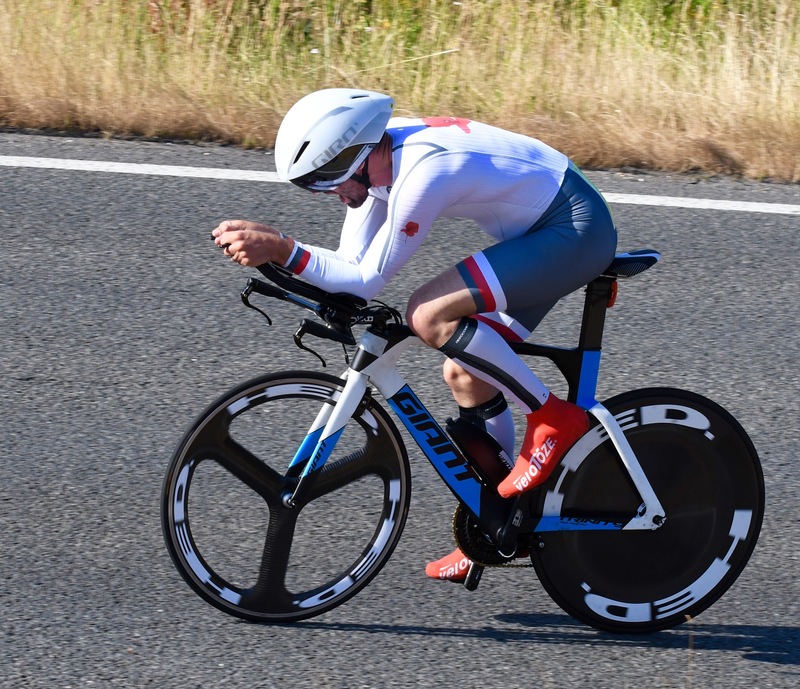 The winner was David Janes (Wheels of Dorset | Aero Testing | Bike Fitting) who even treated us to a new course record of 18:31, knocking 9 seconds off the previous best by Tim Cartwright of Newbury RC set at the Gary Dighton Memorial Open TT. On Strava he describes it as his “first 10 mile of the year” and “PB by 10 seconds (last year 18.41 on p881), So very happy”, and claims he did it on only 5 hours sleep. 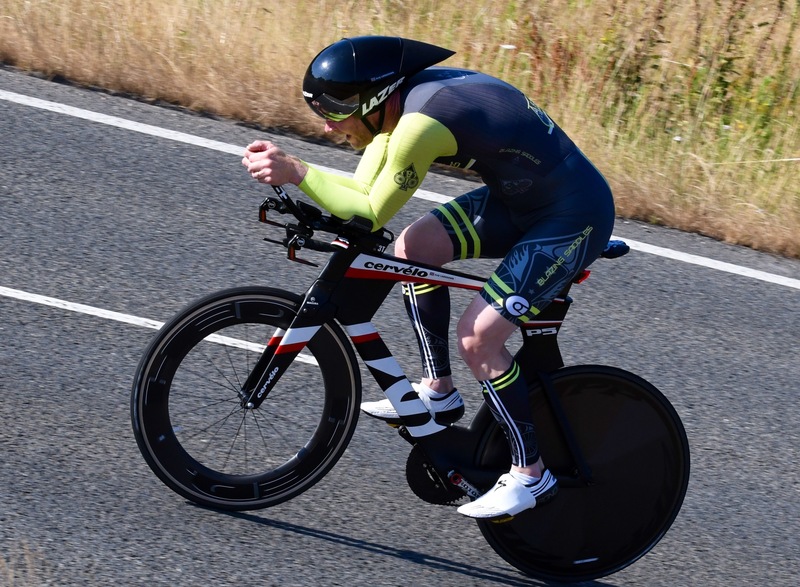 Chapeau, David, we hope to see you smash it up in future events too! Check out his ride on Strava. Louisa Cooper (Bournemouth Jubilee Wheelers) was the fastest Lady with 22:47. 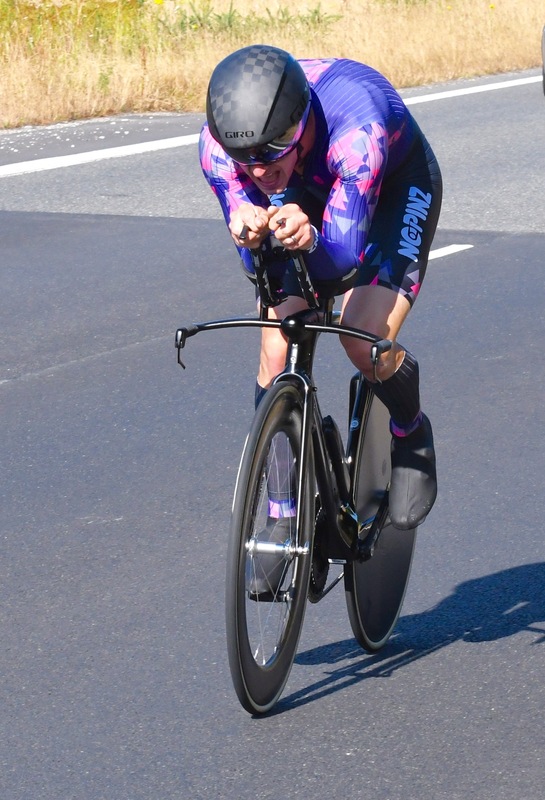 Andy Langdown (Blazing Saddles) took home the Veteran’s price with a time of 19:19, whilst the ever young Terry Icke (Poole Wheelers) won the vet on standard time competition clocking in at 21:36(!) a cool 10:28 ahead of standard time for his age. The team prize was split between Bournemouth Jubilee Wheelers and Poole Wheelers, who both totalled 1:00:43 for their combined first three riders. It seemed a fitting tribute to the popular inter-club TT mini-series we have been running this year! Well done to everyone who took part, and all the volunteers who made it happen. 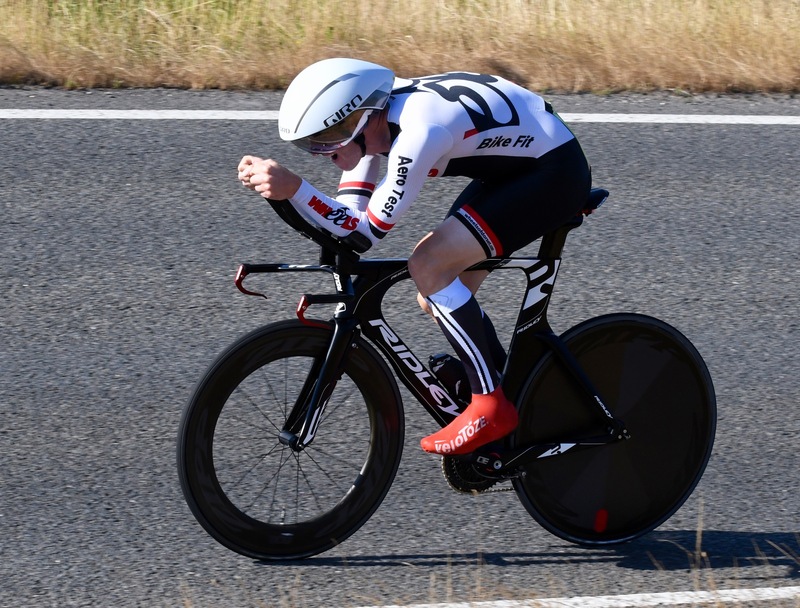 Provisional results below, with official results published on the CTT website and the Poole Wheelers’ results database in due course. We are always welcoming new members to Poole Wheelers. If you are interested in joining our fantastic club, please purchase or renew your annual membership online via our club page on the British Cycling website. Admins can login to the site here to add content. All other users can login to comment directly from the news post comment field. Our Facebook group is the club's social hub for chat, banter, and sharing of latest cycling experiences, questions, tips or guidance. Members regularly post pictures from their rides or Poole Wheelers events on there too. Copyright © 2019 Poole Wheelers. All Rights Reserved. Poole Wheelers design based on Wellness theme by DaisyThemes.